Police sirens wail in the background of Baby Driver as much as Baby’s (Ansel Elgort) Tinnitus. The two sounds complement one another. If Baby, a masterful getaway driver, takes out white earbuds from his ears, the police probably draw near. In a moment of quiet, it’s a barely sensed ringing heard under the audio. This is about fast cars, fast romance, fast plot, and fast music; not much pushes Baby Driver other than its speed. There’s cleverness here. Shoot-outs fire rounds in-sync with the music. A car’s gas, brakes, and engines throb to Queen’s greatest hits. MTV stopped showing music videos so Baby Driver came to life, filing the void. Underneath is an old, even antiquated heist movie. Tropes fall from the script as frequently as it licenses another song. 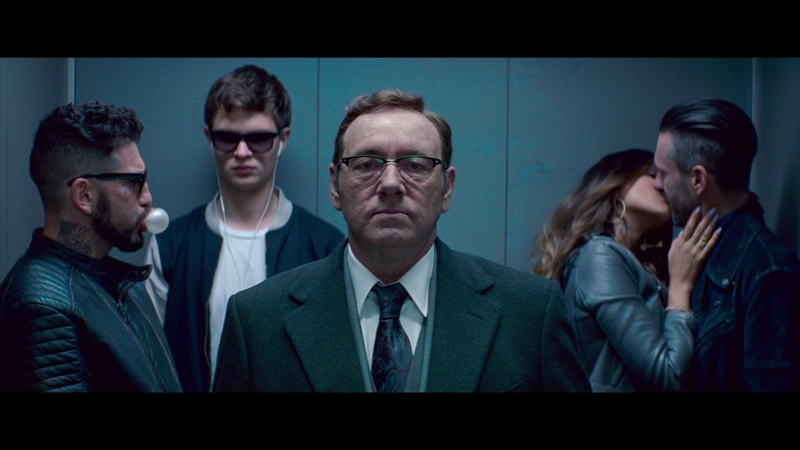 The mismatched team, the last job, the shaky allegiances, the dangerous gigs; Baby Driver doesn’t change formula. Instead, Baby Driver is beholden to it. There’s at a least a wink here. The stunts range from ludicrous to clever, and Baby Driver’s fusion to a variety mix tape’s music gives them life. Elgort himself holds an almost James Dean-starring cool. His recessed past pushes forward behind the robberies, hopping in to fuel a sweep-her-off-her-feet romance with the all-smiles Lily James. 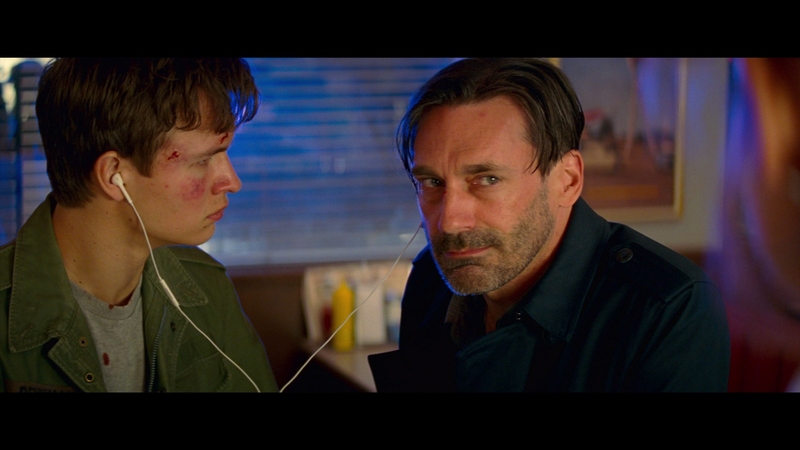 Freshly modernized and kinetic as it seems, Baby Driver adores old-fashioned plotting, classic Hollywood meeting new. 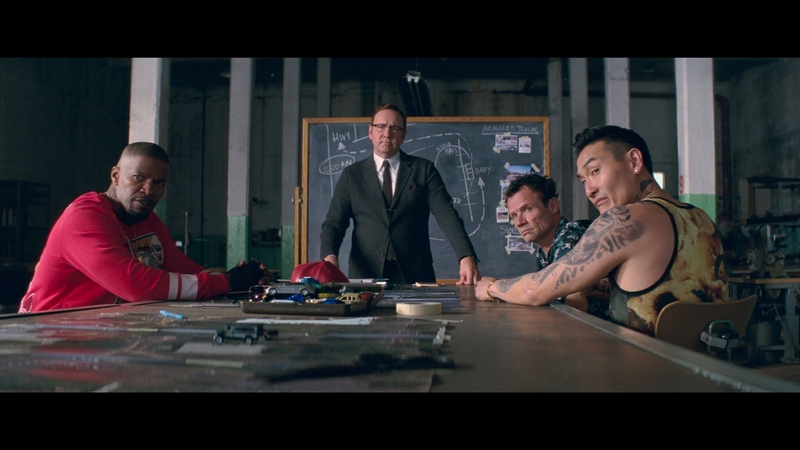 Edgar Wright’s signatures fill even dialog scenes. The braveness of his style ambulates the pitchy story, captured between master takes and wiry stunts. 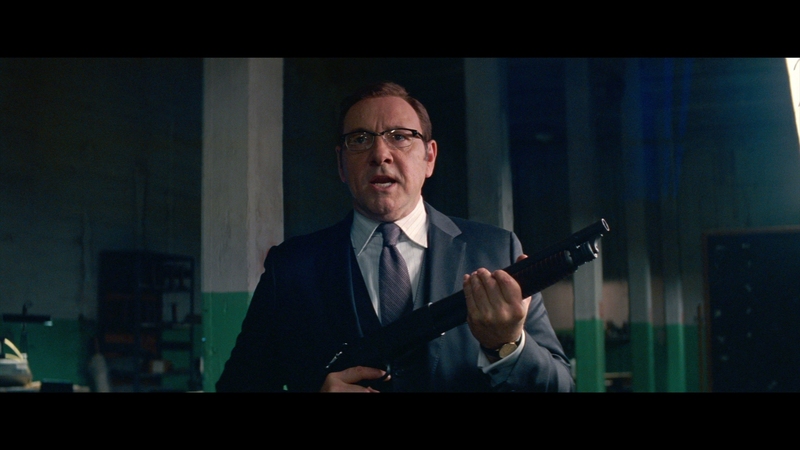 Jamie Foxx is a delight, Kevin Spacey equally so. What they lack in development, Baby Driver off-sets with Baby’s pacifist approach to money hits. Ripping through downtown Atlanta in a trio of raids, Baby shows off skill and precision, but never to the detriment of others. That’s for the rest of the team. If this all begins waning, that’s likely the gimmick wearing thin. Wright’s style is aware enough not to call additional attention to the musical syncopate. That happens organically. Yet, that’s what Baby Driver has – music, action, heists, romance. It’s like a worn checklist of studio film necessities, ultimately vapid. The separation comes from Baby Driver’s passion. It has heart, both in its story and production. No matter how it treats or deals in tropes, Baby Driver spends a lot of time smiling. Sometimes, it’s smiling only at its own cinematic intellectualism; Baby Driver is too high on itself. 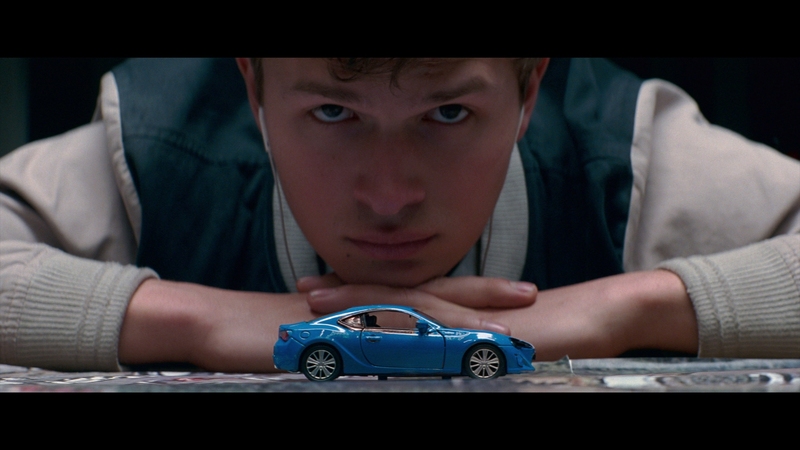 Other times, Baby Driver smiles at a lead character, designed to be rooted for, and earning that applause. 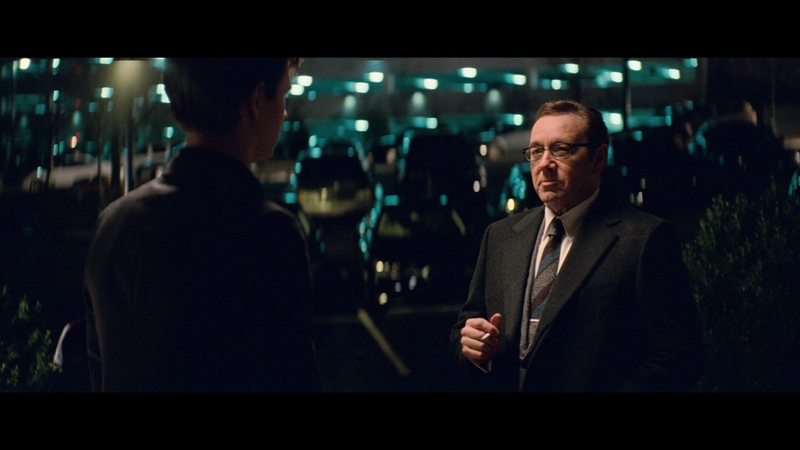 Boasting great color on UHD with natural flesh tones, Baby Driver’s eclectic look translates well to 4K. Primaries sport great density and images certainly benefit. Even the more dour scenes soaked in blues carry saturation, enough to create a consistently pleasing palette. 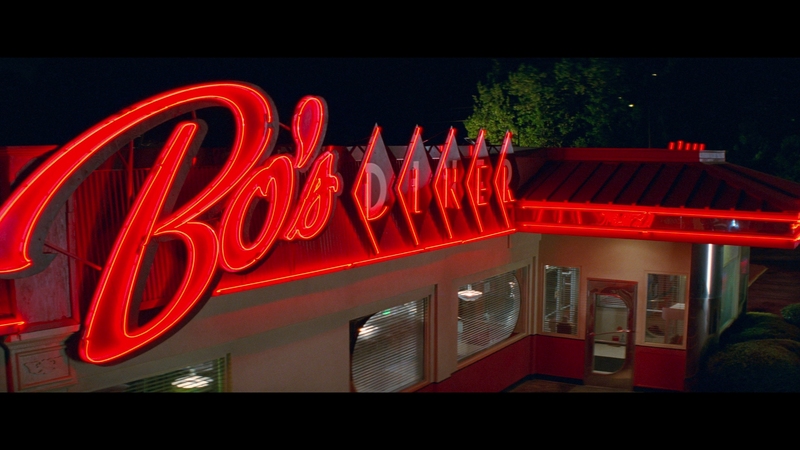 Although Baby Driver uses significant color timing and often drifts black levels towards blues, the UHD’s depth isn’t without significance. Depth sprouts from a majority of schemes, giving Baby Driver’s cinematography dimension. Shot on film, a light grain exists throughout. A few inconsistencies bring in some noise, although to minor levels and not often. On UHD, Baby Driver looks like projected film. The same cannot be said for the Blu-ray. Led by a 2K source, medium and close-up shots retain excellent texture. Consistent sharpness keeps this trend for the entire runtime. Wright’s film-based production takes some lumps in the transition to Blu-ray. Baby Driver’s eccentric color grading robs significant contrast from the image. Black levels sink into blues, browns, or grays. Few scenes involve true black. Those that do invite significant black crush. At least those scenes number in the single digits. Chalky flesh tones recall a number of recent Sony discs, a consistent problem even among films with varying stylistic choices. An odd coincidence, almost certainly, if one still proving bothersome. Thankfully, through cars and costumes, Baby Driver utilizes plenty of primary colors. Strong reds and blues follow this story as it goes. Strong color invites equally strong noise. Encoding can only handle so much. There’s a give and take at work here, battling chroma noise while still trying to deliver rich saturation. If it works – and that’s not often – the ratio favors clean color. When it’s off, noise piles on to a point of obstructing detail. From an overall perspective, Baby Driver does well to maintain definition. Resolution is consistent and high. Close-ups showcase tight, sharp detail. Exteriors of the city give the environments equal texture. 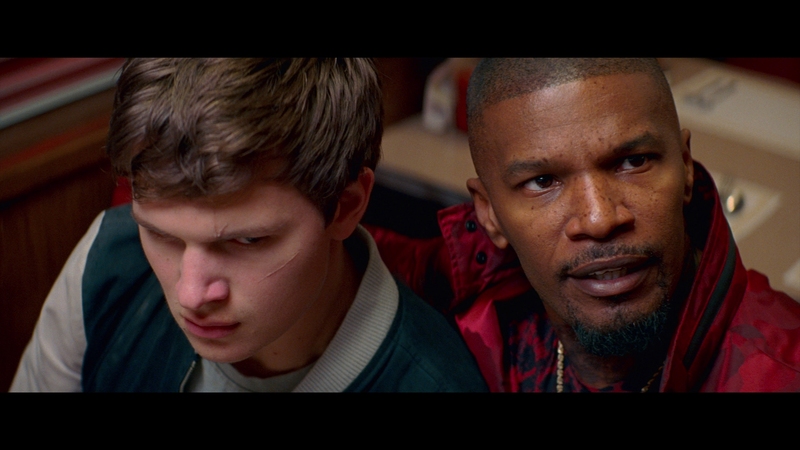 Baby Driver will often look fine on Blu-ray, even if the problems tend to overwhelm the material. Paired with an active Dolby Atmos mix (a puny DTS-HD 5.1 track on Blu-ray), the bevy of screeching tires and throbbing engines work overtime to pan through the soundfield. Baby Driver doesn’t fall into an overly aggressive categorization, but does use the space, and as needed by the visuals. 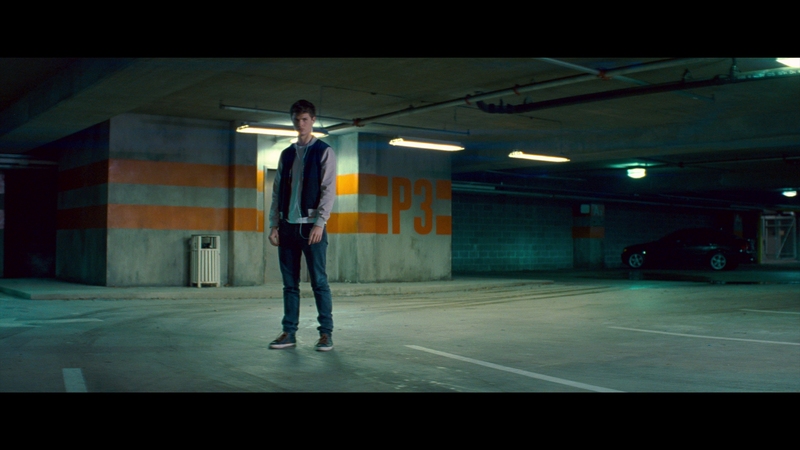 Even dialog will slip away into a stereo or surround as characters walk. Nice trick. Gunfights primarily stay in the low-end. Thumping effects hit the sub with force (same with car engines). Bullets whizzing by into a positional is a less common occurrence, at least in any stand-out way. The music matters most here. Pulled from a variety of generations, each track smoothly plays when at full focus. Fidelity makes one wish for a Blu-ray audio format, not that the marketplace is particularly eager. Edgar Wright provides his solo thoughts and pairs with cinematographer Bill Pope later to make up two separate commentary tracks. Eleven deleted/extended scenes last 20-minutes, followed by six featurettes, forming a 45-minute making-of. They vary in focus but tell a complete story of how Baby Driver came together. Some pre-production pieces and rehearsal footage (Elgort’s is a must see) come up next, with music videos, a slew of promotional material, detailed animatics, and storyboards left. There’s a smart synergy between the music and action in Baby Driver, but even Ansel Elgort’s starring performance doesn’t hide a basic heist flick. 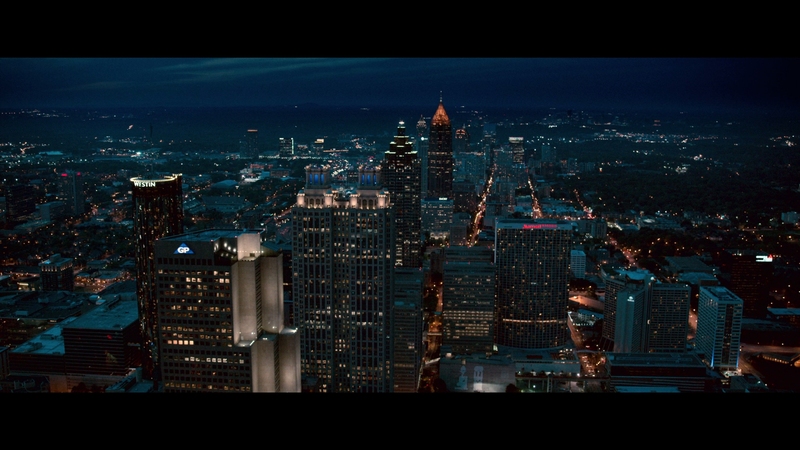 The 15 unaltered images below represent the Blu-ray. For an additional 16 Baby Driver screenshots, early access to all screens (plus the 7,000+ already in our library), exclusive UHD reviews, and more, support us on Patreon.